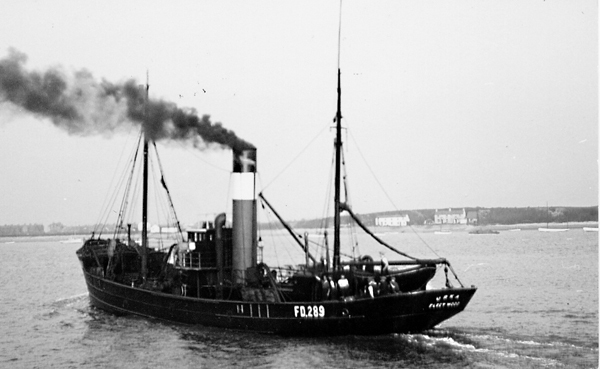 1916: Launched by Goole Shipbuilding & Repairing Co Ltd, Goole (Yd.No.174) for The Clifton Steam Trawlers Ltd, Fleetwood as URKA. 2.3.1917: Registered at Fleetwood (FD289). 2.1917: Completed (Joseph A. Taylor & Ernest Tomlinson, managers). 3.1917: Requisitioned for war service as a minesweeper (1-12pdr) (Ad.No.3328). Northern Patrol. By 12.3.1919: Returned to owner at Fleetwood. 1924: William W. Brierley appointed manager. 5.1940: On the fishing grounds gutting, cap tally HMS SHARPSHOOTER (P.No.J68) found in a skate. 11.6.1947: On Icelandic grounds off east coast (Sk. Harold Brunton) fishing alongside LOCH HOPE (H220) which on hauling brought alongside mine which exploded killing one man and injurying others. Closed and took onboard seventeen survivors (including eight injured) and landed at Seydisfjordur. Three injured too poorly to be moved, remaining five flown to hospital in Reykjavik. 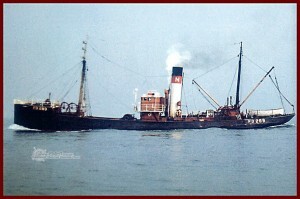 Thirteen crew returned to Hull in the trawler JUPITER. 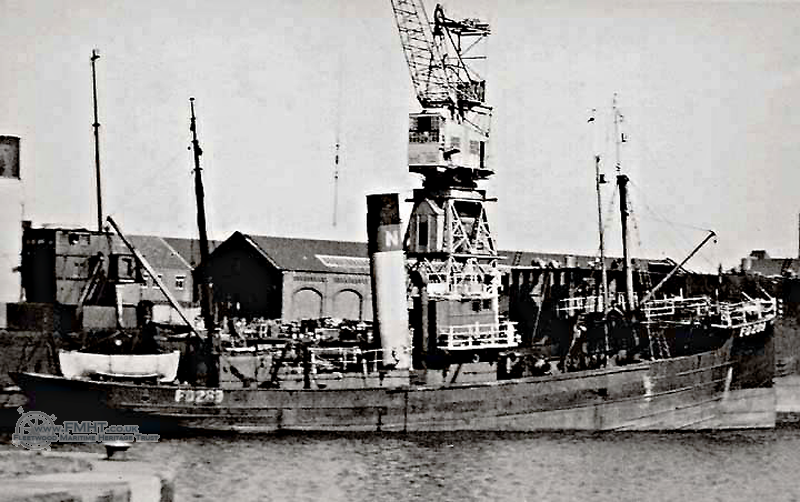 1952: Sold to Alvis Trawlers Ltd, Fleetwood (William Newton, manager). 1953: M. A. Munby appointed manager. 1960: Sold to BISCO and allocated to Thos. W. Ward Ltd, Sheffield for breaking up. 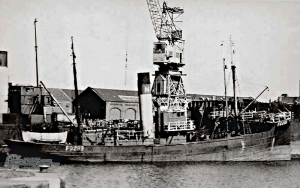 10.8.1960: Delivered to Barrow-in-Furness from Fleetwood under own power. 24/01/2009: Page published. 5 updates since then. 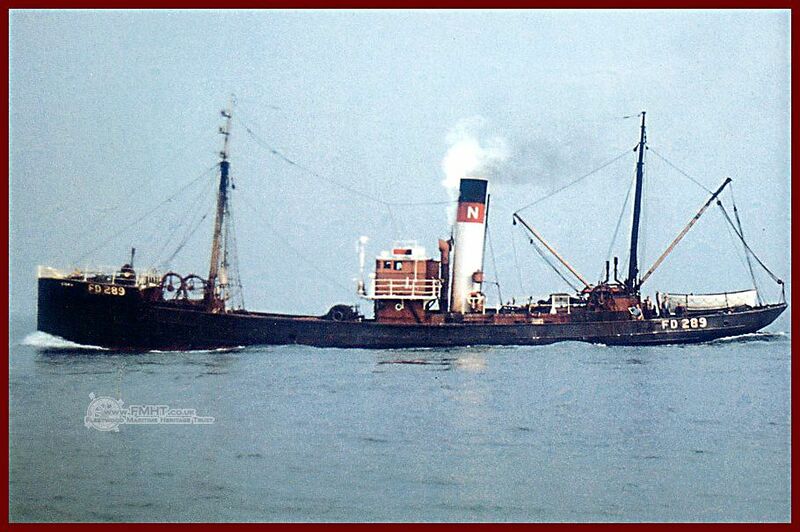 This entry was posted in Steam Trawlers, Steamers (Picture) and tagged Alvis Trawlers Ltd, Clifton ST on January 24, 2009 by Fred Smith.